A great way to show the people in your life that you care is by encouraging them to earn a college degree. That’s why PhillyGoes2College, an initiative led by the Mayor’s Office of Education, and Graduate! Philadelphia partnered this Valentine’s Day to launch the I Heart College Campaign. 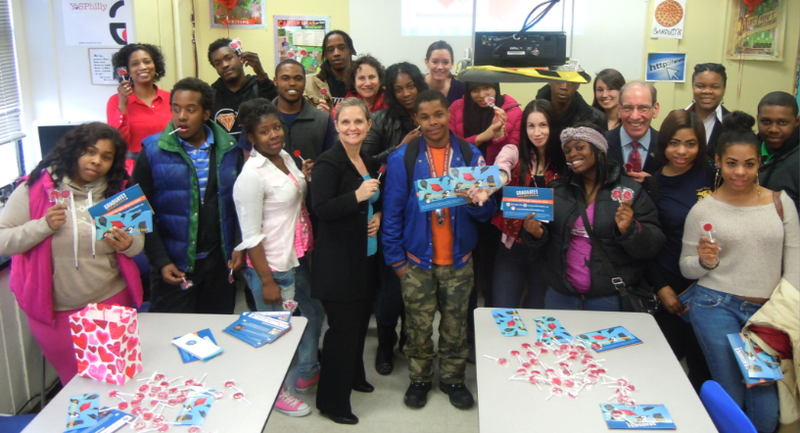 The campaign distributed 20,000 lollipops to schools and organizations throughout the city to spread awareness about the importance of higher education in Philadelphia. 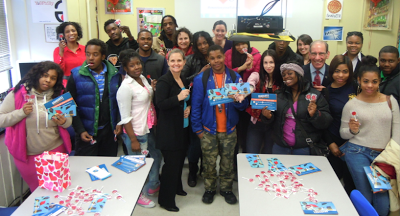 One of the organizations that received the lollipops was YESPhilly, which encourages young people to complete their high school education, as well as pursue higher education and find jobs. 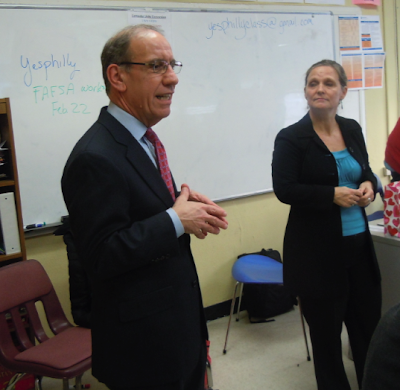 We got in on the fun when Dr. Lori Shorr, Executive Advisor and Chief Education Officer to Mayor Michael Nutter, invited us to meet with some members of YESPhilly to spread the higher education love. Check out some of the photos we snapped. For more information about the missions of PhillyGoes2College and Graduate! Philly, visit their websites. And if you want to spread the word about the importance of higher education, leave a comment on our Facebook page about why getting a college degree matters to you. Thanks to everyone who was a part of this great event!